First up will be your home’s inspection. An inspection takes place during the option period and is scheduled, and paid for, by the buyers. The inspection will identify and summarize any concerns a prospective buyer should consider before purchasing your home. Items that will be thoroughly inspected include the roof, general structure, exterior, electrical system, heating and air conditioning, plumbing, and insulation. An inspector will spend about 3 hours going through your entire home to put together the inspection report. The report will note each item’s condition or working status, giving an idea of what needs to be repaired. Sometimes the buyers will arrive at the end of the inspection to review the findings with the inspector. Typically, the inspection report will be kept in the hands of the buyer. After the inspection is done, you will be notified of what needs repairing (stay tuned, we’ll guide you through minimizing these repairs!). Closer to the closing date, an appraisal of the property may take place. An appraisal will determine the best method to arrive at your home’s appraised value, this method is called the Comparable Properties Approach. With this approach, the value is determined by comparing the property being appraised with recently sold comparable (equivalent) properties in addition to properties currently for sale. If an appraised value comes back lower than the contract sales price, there may be some additional negotiations between the buyer and the seller. Appraisals are another reason to be sure your home is in the best condition possible. Now that you know what comes along with inspections and appraisals, let’s take a look at some ways you can sway the jury in your favor. All items that come with your home need to be in proper working condition. You’ll need to repair items on both the interior and exterior of your home, starting with items that affect health and safety. After that, focus on the kitchen and bathrooms - be sure that all the plumbing and faucets are working correctly. Then, turn to appliances such as the stove and dishwasher - make sure they’re functioning like they’re brand new. In other rooms, change any non-functioning door handles, add oil to squeaky door hinges, switch out torn window screens, clean the baseboards, and replace badly worn carpet. Remember to check all the light fixtures and replace old bulbs - we like these. Other high ticket items that may be flagged for repairs include HVAC, the water heater, the exterior siding, and the roof. Look at all these items with an eagle eye and repair where you can to ensure a smooth inspection and appraisal. Although you should have decluttered your home before it went on the market, at the inspection and appraisal point of the home selling process, you need to get really serious about decluttering. Now that you’re near the finish line, your “clutter” may be in the form of moving boxes. Inspectors will have to get into areas you normally don’t, so move boxes away from the walls and, if possible, into the garage. Clean the dust and cobwebs around the furnace, water heaters, and AC unit. Additionally, provide clear paths to these items, whether they are in the attic, garage, or outside. Outside, be sure to mow the lawn and pull the weeds. Place trash cans away from the house and remove any excess items around the yard. 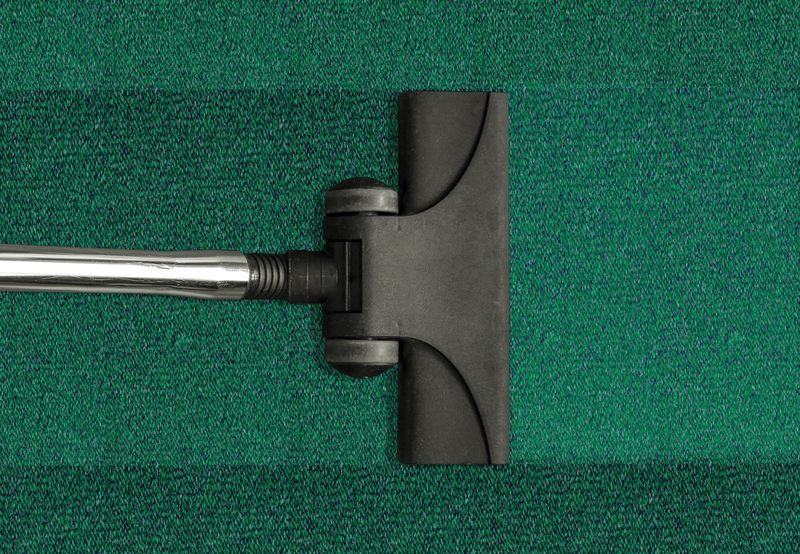 Two last sessions of deep cleaning the home won’t hurt you. In fact, omitting the deep clean COULD hurt you. Start in the small spaces, such as closets and utility rooms, then work your way out to communal areas and bedrooms. Since you’ve decluttered, it will be easy to vacuum every nook and cranny. Use a magic eraser on the walls and get every scrape from baseboard to ceiling. Dust off the ceiling fans and window sills. Take a dust-buster to the inside of all cabinets and drawers. Top to bottom and left to right - leave no corner uncleaned. A commonly overlooked preparation for inspections and appraisals is around the safety equipment. Code will generally require smoke detectors in each sleeping area (bedrooms), one outside the sleeping areas (hallways), and at least one per floor. Just recently, residential and commercial structures with both sleeping areas (bedrooms) and gas or fuel-burning appliances are required to install and maintain carbon monoxide (CO) alarms. Make sure to check code and install these items as necessary! If you already have detectors for smoke and carbon monoxide, replace their batteries and make sure they function properly. Lastly, test the home security alarm, and if you have a fire extinguisher, check the expiration date. Leave a list of upgrades and repairs on the kitchen counter for the appraisal. This will help the appraiser know what was recently added or improved. Keep track of all the items you repaired from step one and dig up any evidence from repairs or upgrades over the past few years. For the appraisal, leave a list of neighborhood improvements that happened while you lived there. Impressing inspectors and appraisers is just as important as impressing the buyers. Set the tone throughout your property to show that you’re putting your best foot forward for a smooth transaction. Keep the property a comfortable temperature, especially since the inspector will likely be there for 3 or so hours - do the same for the appraisal, even though it will be much shorter. You’ll also need to leave the home during both of these times. As we said before, the buyers will arrive for the last hour of the inspection to review results. Give them space and time. Inspections and appraisals are the two last big hurdles to hop before getting to SOLD. With these tips, you’ll hop your last big hurdles, and the rest will be a jog to Just Sold! Doing what you can to be prepared for both will ensure a smooth transaction all-around. Still have questions about what to expect? Comment them down below! The Jovio Real Estate Specialist Team is here to help!